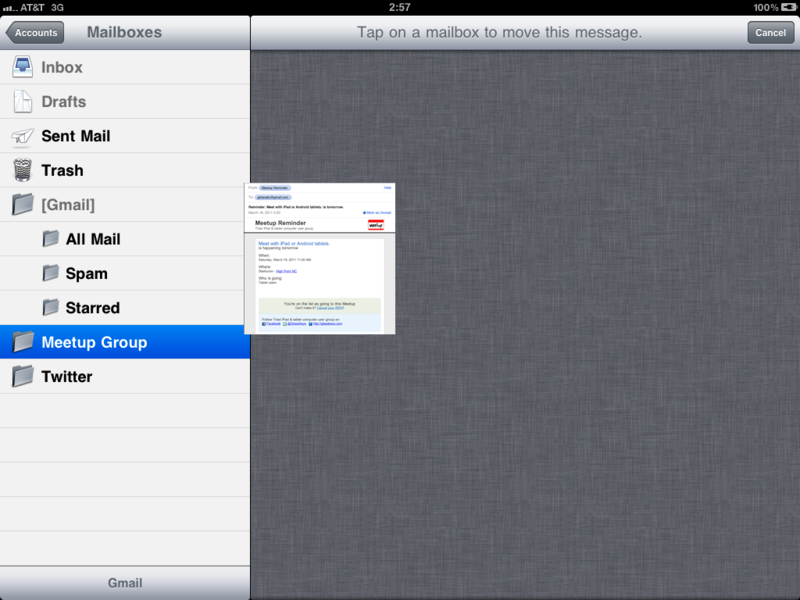 Recently I was asked how one could create a GMail folder in the Mail application on the iPad or iPhone. 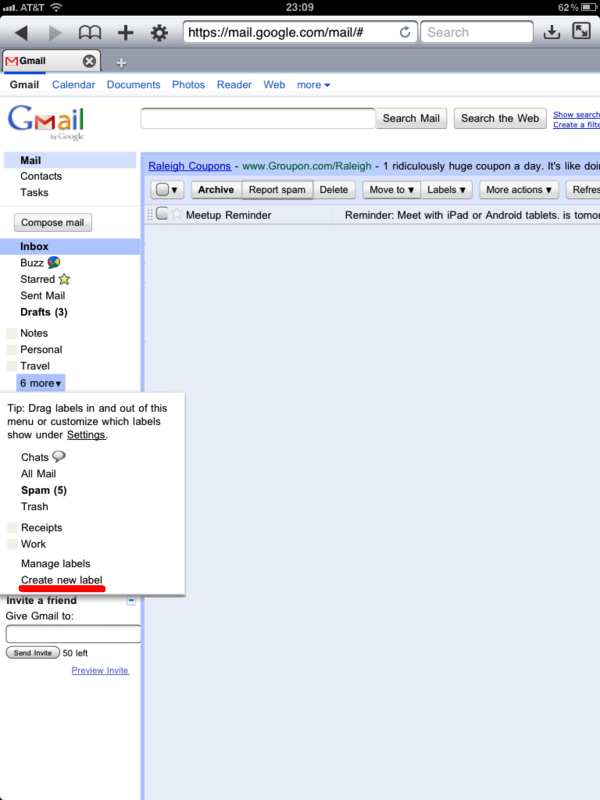 The short answer: If you are only using the Mail application or Google’s Mobile Mail application on the iPad & iPhone — you can’t. 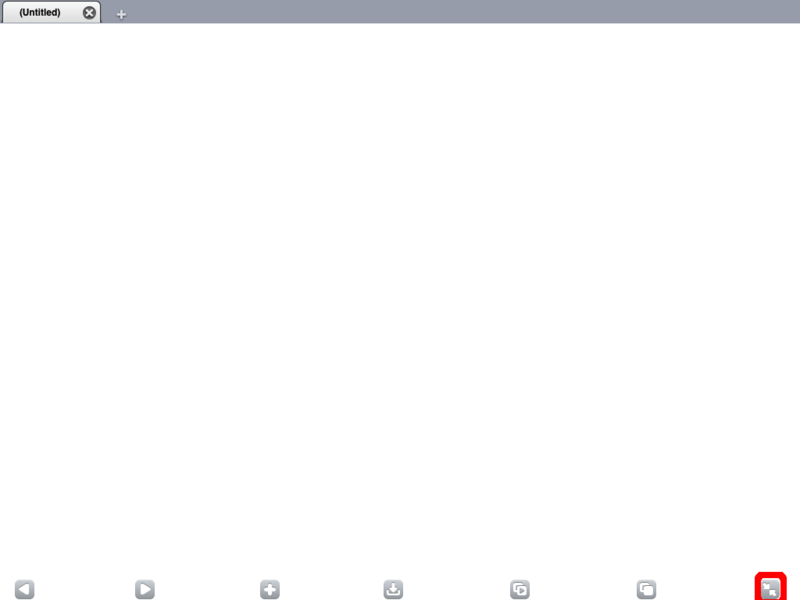 However, faffing about on my iPad I found one way to accomplish this, the caveat being is that you must have a browser capable of setting the identity string. 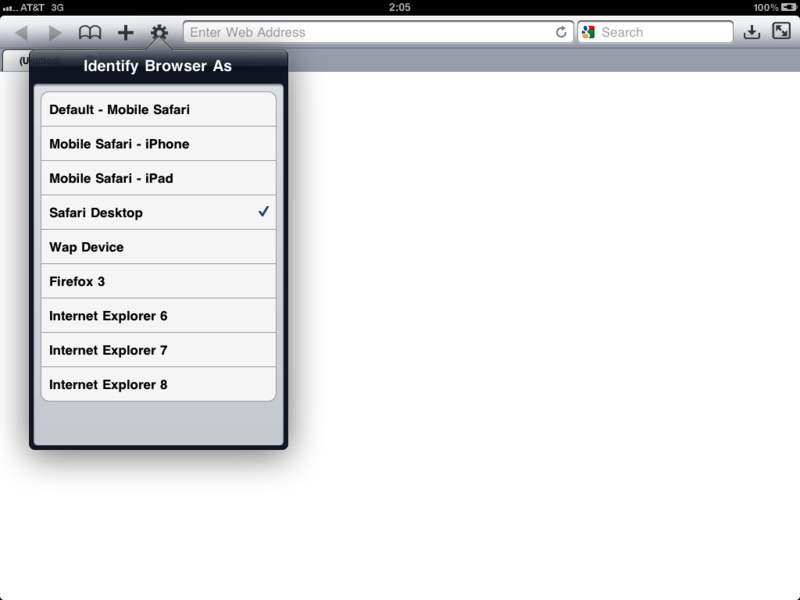 Since Atomic Web Browser is capable of doing this on both devices, this tutorial will illustrate how to accomplish this feat. 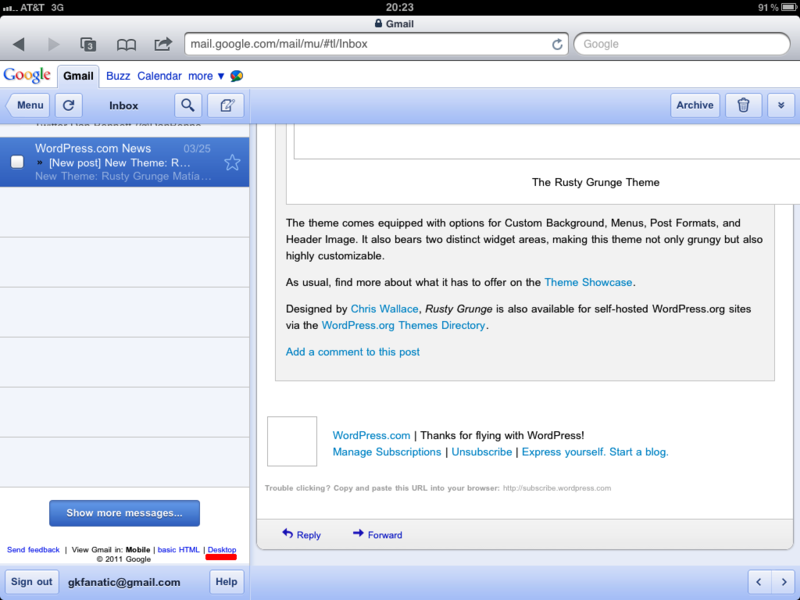 UPDATE March 28, 2011: I have found a way to do this without having to use Atomic Web Browser. 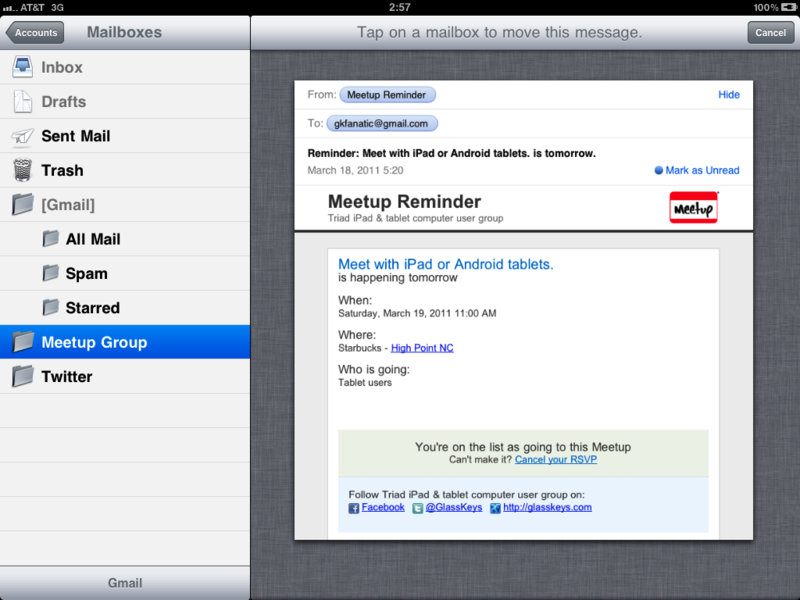 Google Mail viewed using Safari on the iPad or iPhone supports a hidden option visible if you scroll to the bottom of your inbox message list at left called View Gmail in Desktop. 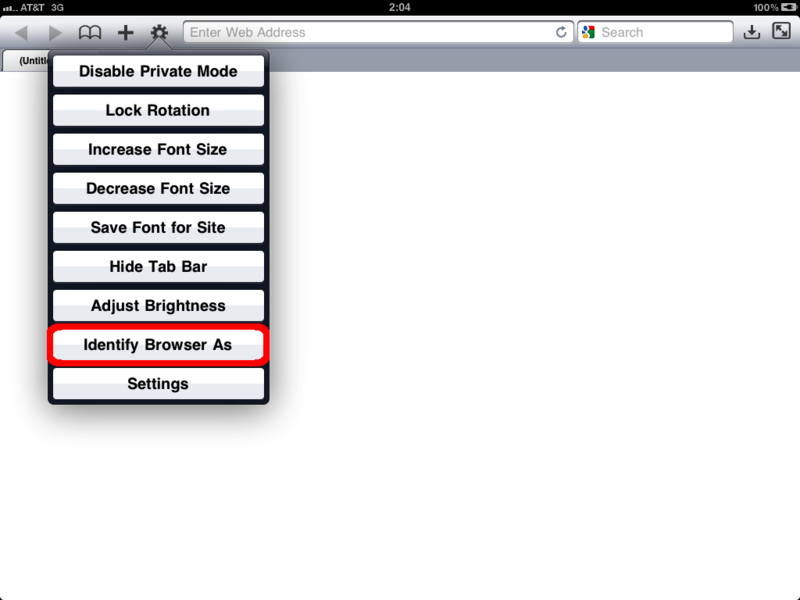 Tap this link to view a screen shot of this well hidden feature. 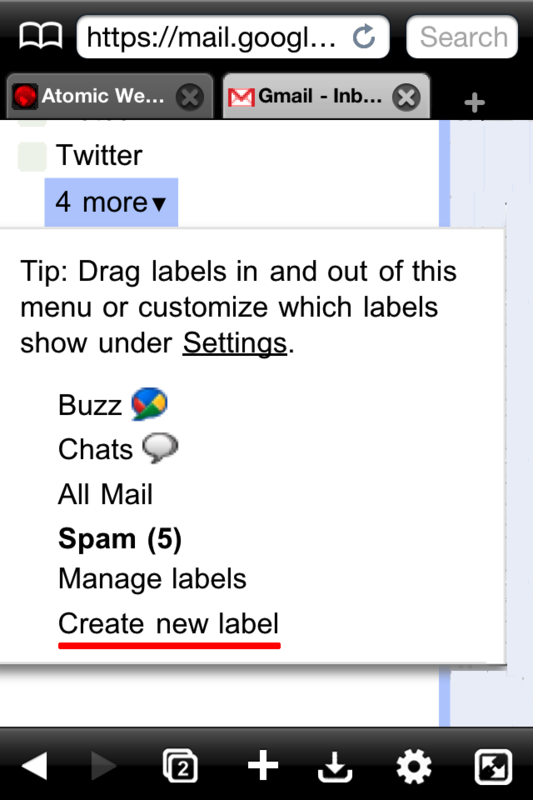 This means of course that you can tap this option using Safari, skipping the browser identity steps and start with the step beginning with: “Tap Create new Label“. 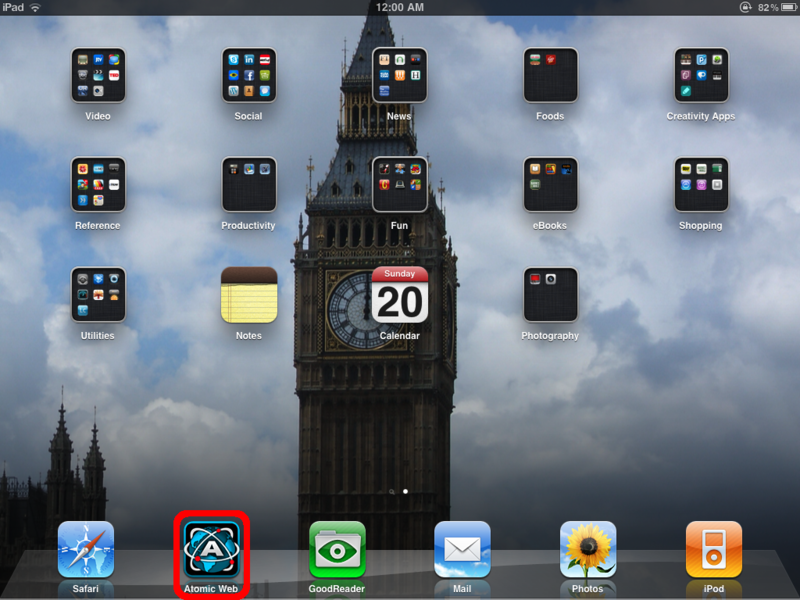 Be sure you turn your iPad portrait so you will be able to see the label menu options. 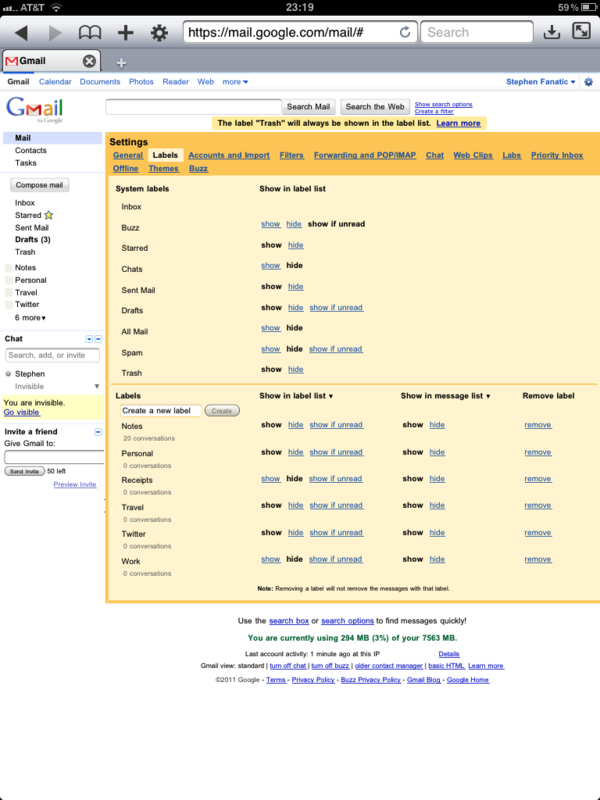 Before we soldier on, you should be aware that Google Mail does not use email folders in the traditional sense, but implements the label concept. 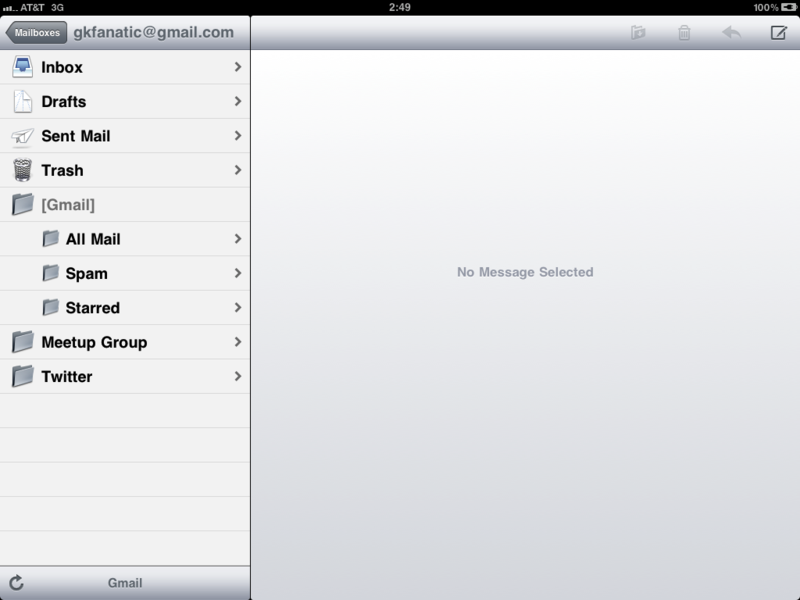 There is a difference, but since the Mail application on iPad and iPhone treats labels as folders, for purposes of this tutorial anytime you see the word “label”, mentally replace it with the word “folder”. 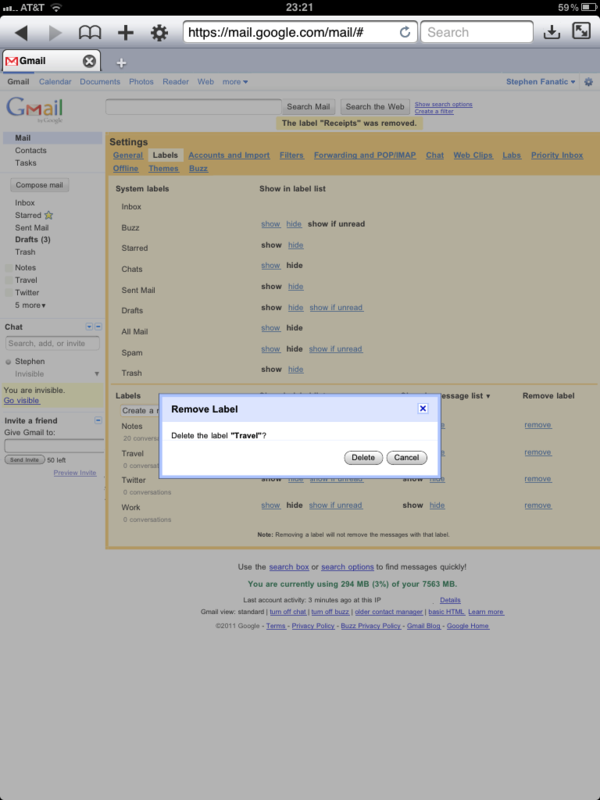 If you desire to know more about the differences betwixt the two, Google and others have done an admirable job explaining why labeling is used. 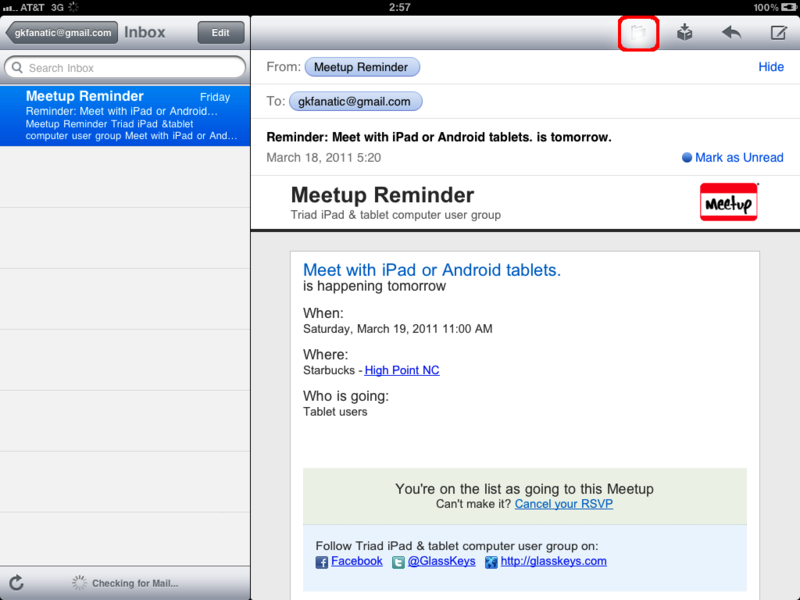 To place a message from your Inbox to a custom folder, tap the Folder Button on the top menu bar. « Charging an iPad without the wall charger. You can just view the desktop version. 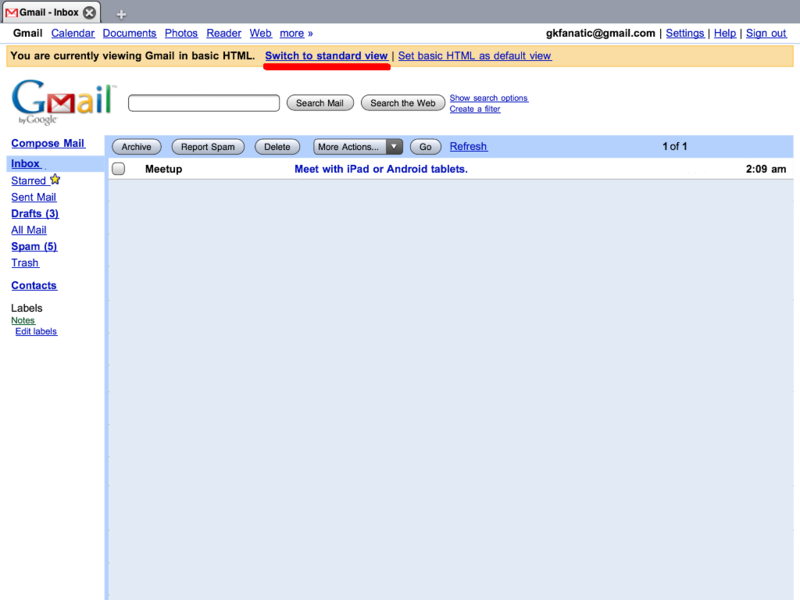 Link is at the bottom of the left pane in mobile gmail in safari.